Grown in an extensive nursery on site, Carya's heather shapes define the course into a truly magnificent spectacle. The 7,186 yards, par 72 course, is a demanding test of golfing strategy with free flowing holes that run between pine and eucalyptus trees and across a dramatic sand ridge. 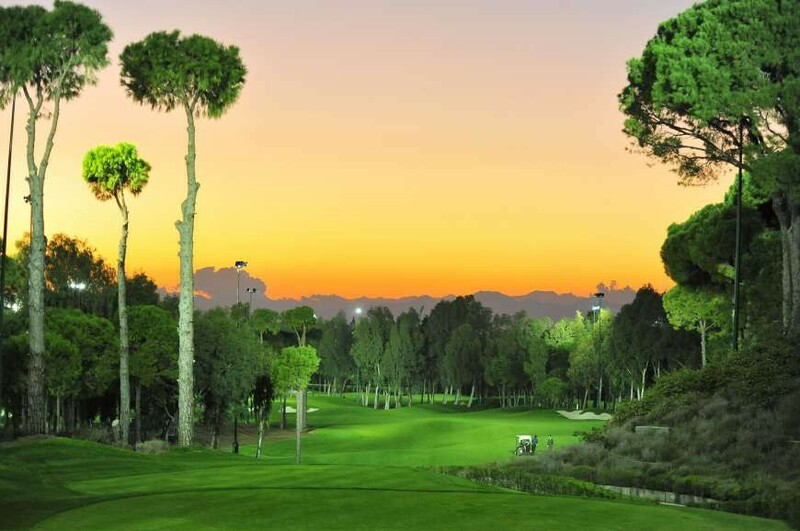 By lighting the last 9 holes out of totally 18 holes, Carya Golf Club offers the opportunity of playing golf at night with the comfort of daylight. In this way, the guests can enjoy playing golf under the warm climate of the Mediterranean Sea up until late at night. The ball is clearly visible since lighting is provided from 36 meters high up to 250 Lux and the background is darker. Furthermore, players feel like they play in completely different 9 holes since the course turns into a whole another environment with the lighting. Please ask for group rates. Prices are only for Daylight. practice greens 2300 m2 - 130 meters long! driving range Double ended with a unique two story Academy building with 22 bays and two teaching studios.